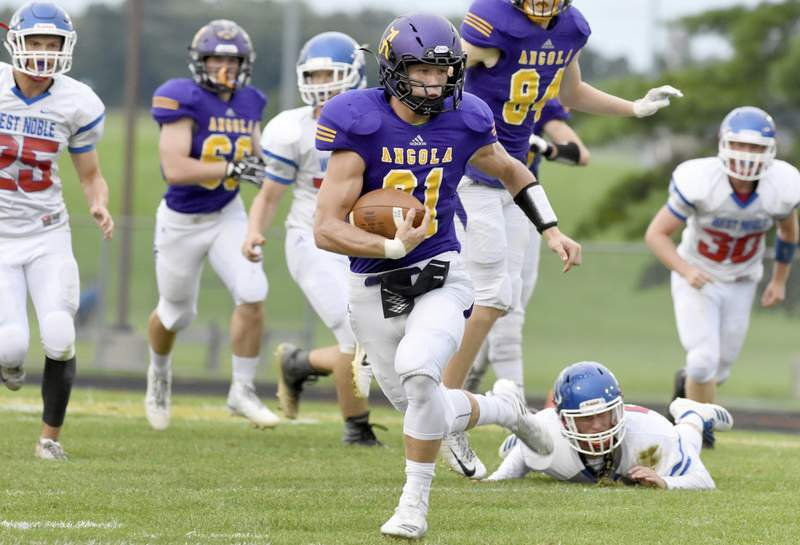 Rachel Von | The Journal Gazette Angola's Jarrett Gibson leaves West Noble players in his tracks as he races toward the end zone during the first quarter Friday at Angola. To vote for the Journal Gazette player of the week, go to http://www.journalgazette.net/sports/high-schools/ Voting is open today through noon Monday. Results will be revealed Tuesday.